From the first encounter with these two humans everything felt so easy and flowing, like working with old friends. 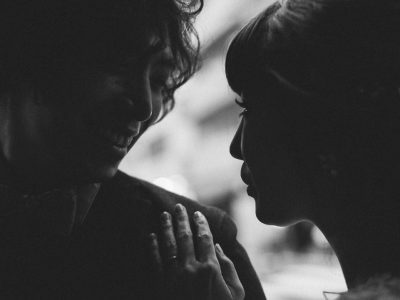 From the first Skype meetings to the later when we went to visit the venue together, Jake and Yumiko put their total trust in me to document what most people would consider to be one of the most important days of their lives. Truly humbling and motivating experience indeed. 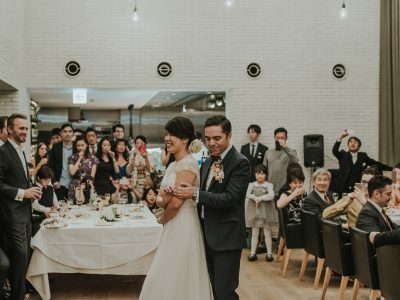 They wanted to have a garden wedding in Kamakura, with only their families and the closest friends. A 100yr old house built in a mixed Japanese-European style secluded in the forest seemed like a perfect setting. Jake is Australian, and his family and friends flew all the way from down under to celebrate the beginning of their journey together. 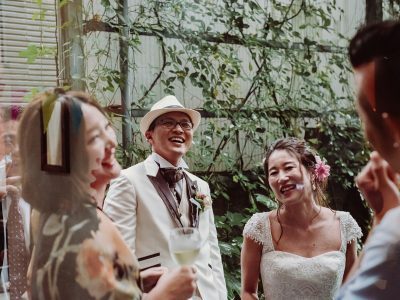 A cozy garden was a perfect center stage filled with love, laughter, and relaxed vibes throughout the day. As they saw the last rays of sunlight off and went on to party some more elsewhere, the place suddenly went quiet. But for them, and for me it will never be the same. Part of them will stay in the grass and the old wooden house walls, keeping the memory of it alive forever. I hope these pictures can bring back some of the feelings from that day.